Length 8 or 9 mm. 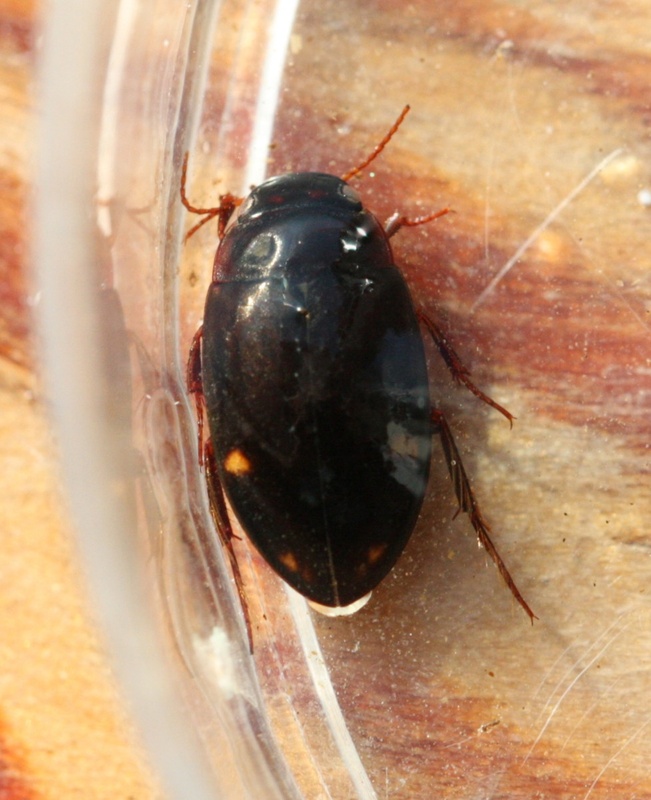 A dark brown diving beetle with noticeable pale spots on the elytra. Similar (but usually smaller) spots occur in other species. Small water courses such as wet ditches and streams. All year peaking April to October.